When Ohio State played Arizona State in the 1997 Rose Bowl, tickets cost $75. It’ll cost you more than that to see the Buckeyes take on hapless Buffalo in August if Ohio State’s Board of Trustees approves a proposed ticket price increase. And if you’re interested in attending the Michigan game in 2014, you might want to consider taking out a second mortgage. That’s because the Athletic Council has set forth a plan that would allow Ohio State to designate up to two home games per season as “premium” games. The Board of Trustees will meet next week. If approved, the rate hike, the first in three years, would start for the upcoming 2013-14 academic year. Ohio State will raise public ticket prices $9, from $70 to $79. Faculty and staff prices will increase from $56 to $64. Student tickets will go up $2 in 2013 and another $2 in 2014. Students paid $32 per game in 2012. At the Dec. 6 Faculty Council meeting, Charlie Wilson, chairman of Ohio State’s Athletic Council and a professor at the Moritz College of Law, revealed a plan that would set prices for premium games during the 2013 and 2014 seasons between $110 and $125. That increases to the $125 and $150 range in 2015 and $175 in 2016 before returning to $125 and $150 in 2017. Faculty and staff tickets will cost 80 percent of the public’s price. Students will not pay a premium rate. There was “substantial support” for premium pricing among the Athletic Council members, Wilson said. Athletic director Gene Smith declined to comment for this story. Brett Scarbrough, assistant athletic director for ticketing and premium seating, did not respond to an e-mail seeking comment. Colleges have used a premium game pricing system for years, but none have approached the steep cost that Ohio State has proposed. Alabama used a similar system during the 2012 season, with tickets being priced from $55 to $85. “No doubt there will be blowback,” Wilson said. “The problem is of the big-time football schools, we are virtually the only one that doesn’t do the premium pricing. “The consensus is we’re leaving a lot of money on the table that other universities are taking advantage of. Whatever we do, at least for the foreseeable future, it will involve far less revenue than the consultants say we could get. It will be moderate in every sense of the word, but I have no idea what it will look like in its finished product. An outside consulting firm was contracted by the university to conduct a ticket pricing study. Football ticket prices were determined based on market value – the secondary ticket market, such as scalpers and the popular website StubHub. The firm discovered Ohio State’s football program could create $40 to $60 million in revenue with a large chunk of that money in ticket sales and pricing. 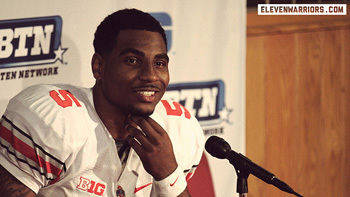 The report also revealed that Ohio State has the highest face value in the country. But when it comes to the cost associated with having the opportunity to purchase season tickets, Ohio State is near the bottom of the top 20 most profitable programs. A recent report in the Toledo Blade found that Ohio State’s athletic department was second in total revenue during 2012, with $142 million. Texas was first at $163 million. Outside the secondary ticket market, the only way to secure season football tickets for Ohio State is to be a member of the President’s Club or Buckeye Club. President’s Club members must pay at minimum $2,500 per year. The lowest Buckeye Club membership level that allows you to purchase tickets requires an annual payment of $1,500. Donations to the President’s Club help support academics, health sciences and the arts, while the Buckeye Club supports the Ohio State Student-Athlete Scholarship Fund. The firm recommended Ohio State raise both fees. Ohio State will not use ticket differential pricing, meaning that a seat in Row 1 of Section 23AA will cost the same as sitting in the top row of D Deck. The Athletic Council said fans are paying for the experience and just being in the stadium allows them to take part in that, regardless of the seat location. “I think (the increased prices) could potentially lead to empty seats,” Louters said. The Ohio State Department of Athletics also factored in its budget projections and increased expenses for the next five years in coming up with the rise in ticket prices. The Horseshoe is currently undergoing a $4.3 million project that involves recoating concrete to waterproof the stadium and repair other sections of concrete. Value City Arena’s $19 million, two-part plan includes the addition of new practice gyms, an expanded strength and conditioning area and a new court. It will be completed in the spring. The ultimate goal, according to the Athletic Council, is to share the ticket profits with the academic arm of the university. Ohio State also was told it allocates too many reduced priced tickets to students, faculty and staff. But the report failed to take into account the university’s enrollment and large number of faculty and staff. Nearly 48,000 tickets for each game are distributed to students, faculty, staff and single-game alumni, and 42,000 go to President’s Club, Buckeye Club members and longtime alumni season ticketholders. The remaining roughly 12,000 tickets go to visiting fans, the band and other personnel. In 2012, students and alumni failed to purchase all the available tickets. Students had the option of paying $256 for the full eight-game home schedule or $128 for four Big Ten games. More than 1,000 fewer students purchased the full-season plan and nearly 1,300 fewer opted for the Big Ten only package. The alumni drawing had more than 5,000 fewer applicants. Ohio State is one of a handful of athletic departments in the country that is fully self-sustaining and does not receive subsidies from the university. In fact, the athletic department has supported several university-wide endeavors, including the renovation of the William Oxley Thompson Memorial Library. Running on a surplus at the time, the department donated $10 million to the project. Ohio State and Michigan are the only two institutions in the country that pay the full scholarship amount for student-athletes. On top of that, when it’s an out-of-state student, the out-of-state rate is paid. Some schools pay the in-state figure, but a majority will have the cost subsidized by the university. The reality in the present-day world of big-time college sports is it’s expensive. Major athletic departments throughout the country receive heavy financing from student fees, tuition, taxpayers and from the university at-large. The average subsidization rate is greater than $20 million. 12-0 means leverage to raise ticket prices. That’s a situation Ohio State is already grappling with. Wilson pointed out several scenarios that could occur should the prices rise. One is students not being able to afford tickets. As much as one-third of the student population could decide against purchasing tickets, eroding the college and game-day experience. There also is a fear that recent graduates could have sticker shock due to lower paying jobs. By the time they can afford to donate to the university, they could be disenchanted or unaffiliated, closing a possible avenue for donations to Ohio State. It appears Ohio State believes it’s a worthwhile risk.